Every year, the welfare of millions of animals reared for the production of milk, meat and eggs for human consumption is severely compromised. The vast majority of farm animals – pigs, hens, rabbits, calves, ducks and quails – are imprisoned in cages, which inhibit their basic natural behaviors like scratching about or flapping their wings, and some are so small that the animals can’t even turn around. In intensive pig farms in various countries, for example, sows still spend a lot of time (up to 4 months) in the gestation cages without the freedom to move easily. 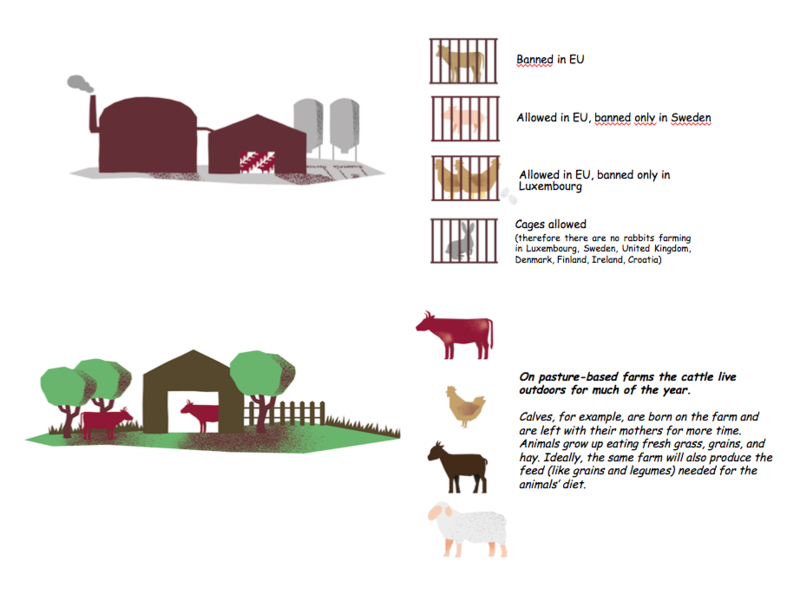 European States have legislation that, in some cases, prohibits the use of cages, but nevertheless, around 300 million farm animals are still locked up for all or most of their lives. The most worrying situation is in China, the world’s largest meat producer, which does not have any nationwide laws that explicitly prohibit the mistreatment of animals and set rules on animal cages. Slow Food – which has been working for years to raise farmers’ awareness about animal welfare issues – supports the European Citizens’ Initiative (ECI) launched by Compassion in World Farming (CIWF), calling on the European Parliament to end this system of animal husbandry in EU countries. Sign the petition END THE CAGE AGE!